▪ Rufus Rivers Gilder, Jr.
Vardaman - Dr. Joseph Sherman Edmondson, 65, Vardaman, died Wednesday in Baptist Hospital, Jackson. He was a Mason and a member of the Eastern Star. Services will be at 3 p.m. Thursday at Vardaman Baptist Church with burial in Hillcrest Cemetery. He is survived by his wife, Mrs. Alma Gilder Edmondson, Vardaman, three daughters, Mrs. Josephine Howard, Houston, Tex., Mrs. Susan Scarbrough, Jackson, Miss., Miss Gwendoline Edmondson, Vardaman; two sons, David Edmondson, Houston, Tex., Henry Lee Edmondson, Vardaman; one brother, Ruben Edmondson, Vardaman. Dr. Joseph Sherman Edmondson, 65, died Wednesday, May 28, 1975, at the Baptist Hospital in Jackson, Miss., following a short illness. He had practiced medicine and surgery at Vardaman, operating his own clinic, for many years. He was a member of the Vardaman Baptist Church, which he served as a deacon and a Sunday School teacher. He was a member of the Vardaman Masonic Lodge and the Order of Eastern Star. He was a veteran of World War II, and a strong supporter of the Boy Scouts. Born March 4, 1910 in Calhoun County, he was the son of J.D. and Myrtle Cannon Edmondson. He leaves his wife, Mrs. Alma Gilder Edmondson of Vardaman; two sons, David Sherman Edmondson of Houston, Tex., and Henry Lee Edmondson of Vardaman; three daughters, Mrs. Josephine Howard of Houston, Tex., Mrs. Susan Scarbrough of Jackson and Miss Gwendolyn Edmondson of Vardaman; one brother, Reuben Edmondson of Vardaman. Funeral services were held Thursday at Vardaman First Baptist Church. Rev. James Shumate officiated, assisted by Rev. Marvin Lee. Interment was in Hillcrest Cemetery in Vardaman under the direction of Antony Funeral Home. Pallbearers were Joe Howard Edmondson, Carter Kemp Edmondson, Martin Moore Edmondson, Bill Gilder, Joe Jon Carter and Phil Carter. Honorary pallbearers were all ordained deacons of the Baptist Church, members of his Sunday School Class, Dr. Guy Farmer, Dr W.J. Aycock, Dr. L.D. Webb, Dr. Otis Crocker and Dr Charles Crocker. Services for Alma Gilder Edmondson, 83, who died Aug. 15, 2005 at Oktibbeha County Hospital in Starkville were held Aug. 18, 2004 at 2 p.m. at First Baptist Church in Vardaman under the direction of Parker Memorial Funeral Home in Vardaman. Internment followed at Hillcrest Cemetery in Vardaman. Mrs. Edmondson was the widow of the late Dr. Joseph Sherman Edmondson who passed away May 28, 1975. Mrs. Edmondson was born on Aug. 26, 1920 to the late Rufus Rivers Gilder, Sr. and Birdie Wilker Inmon Gilder. She was a teacher, homemaker, and a member of First Baptist Church in Vardaman. She was preceded in death by her parents, her husband and by her brothers, Rufus Gilder, Gene Gilder and Jasper Gilder; and two grandchildren, Cade Howard and Wesley Scarbrough. She was survived by three daughters, Josephine (Jo) Howard and her husband Charlie of Sugar Land, Texas, Susan Scarbrough and her husband Pete of Jackson, and Gwendolyn Hamilton and her husband Jimbo of New Hope; two sons, David Edmondson and his wife Kathleen of Richmond, Texas, and Dr. Henry Edmondson and his wife Kathy of Starkville; three sisters, Sadie Edmondson and Jacqueline Eastridge, both of Memphis, Tenn., and Bessie Fleming of Birmingham; one brother, Tom Gilder of Starkville; eight grandchildren, Julie Howard Drenner, Chad Howard, Mason Edmondson, Hunter Edmondson, Jamison Edmondson, Mariah Hamilton, Erica Hamilton and Molly Edmondson; and three great-grandchildren, Aston, Keaton and Ansley Drenner. Pallbearers were Charlie Howard, Pete Scarbrough, Jimbo Hamilton, Mason Edmondson, Hunter Edmondson and Chad Howard. Memorials can be made to the Alma Edmondson Memorial Fund or First Baptist Church, PO Box 173, Vardaman, Miss. 38878. Joseph David Edmondson, 81, died Saturday, Nov. 18, 1968, at the Vardaman Hospital. He was a retired rural mail carrier, having served 32 years as a carrier from The Vardaman Post Office. 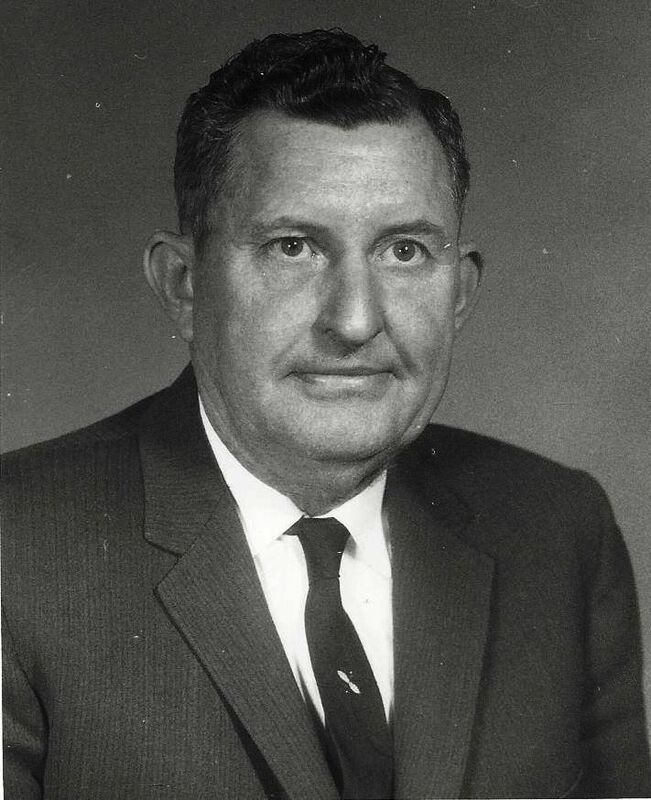 Mr. Edmondson was a former director of the Federal Land Bank and was a practical civil engineer. He was a very good machinist, and, especially after his retirement, his hobby was working on all kinds of machinery. His neighbors took their clocks, plows, cars, and almost every kind of machine to him for repairs. He enjoyed accommodating them. Mr. Edmondson was born at Vardaman and had lived his entire life there. He was the son of William Zion and Willie Moore Edmondson, both natives of Calhoun County. He was a member of the Midway Baptist Church and took an active part in church affairs until his health failed him. He served as a deacon of his church for many years. Mr. Edmondson was a man of conscience and convictions. He was a staunch believer in the Southern way of life, in states rights and in constitutional government. He was a good and honorable man--patriotic and loyal to his country, his state and his country. He was a devoted family man and held the love and respect of all who knew him. His wife passed away in January, 1963. He leaves two sons: Dr. J.S. Edmondson and Reuben Edmondson, both of Vardaman; two brothers, J.O. Edmondson of Calhoun City and Tom Edmondson of Vardaman; two sisters, Mrs. Lavina Carter of Vardaman and Mrs Dottie Kate Shepherd of Enis, Texas; six grandchildren; and Mrs. Ruby Cannon Vanlandingham, who had resided with the family for a number of years and was just like a member of the family. Funeral services were held on Sunday afternoon at Vardaman Baptist Church. Rev. R.B. Patterson officiated, assisted by Rev. J.F. Hartley and Rev. Cooper Hartley. Burial was in Hillcrest cemetery, at Vardaman, under the direction of Pryor Funeral Home of Calhoun City. Pallbearers were J.W. Edmondson, Carter Kemp Edmondson, J.O. Edmondson, Jr., Joe Moore Edmondson, Martin Moore Edmondson, H.W. Cannon, Leon Cannon, Donald Harold, Robert Earl Nichols and Herbert Steelman. Honorary pallbearers were all of the patrons of his rural route who are over 50, and Zeke Enochs, Rivers Gilder, Paul Moore, Vernon Davis, Dr. M.C. Sappington, and Dr. Daniel C. York. Mr. Reuben Edmondson, 61, died Saturday night, Aug. 2, 1975, at 9:30 p.m. at his home on Rt. 1, Vardaman. He was a farmer and had lived all of his life in the area of New Liberty Community, where he was a member of the New Liberty Baptist Church. Born March 28, 1914 in Calhoun County, he was the son of J.D. Edmondson and Myrtle Cannon Edmondson, both natives of Calhoun County. He leaves his wife, Mrs. Gladys Watkins Edmondson; and one daughter, Mrs. Mary McGregor of Vicksburg. Funeral services were held Monday afternoon at Pryor Funeral Home Chapel in Calhoun City. Rev. D.C. Hartley officiated, assisted by Rev. Bill Riley. Interment was in New Liberty Cemetery. Pallbearers were James E. Spratlin, Bryan A. Long, Robert E. McGregor, Martin Edmondson, Jay Edmondson and Laderle Ramage. Wilker Inmon Gilder, 86, died Wednesday at the Calhoun County Nursing Home in Calhoun City. Services will be 2:30 p.m. today at the Midway Baptist Church with the Revs. Donald Donahue and Jeff Gilder officiating. Burial will be in the church cemetery. Anthony-Parker Funeral Home is in charge of the arrangements. Survivors include four daughters, Mrs. Alma Edmondson of Vardaman, Mrs. Sarah Edmondson of Memphis, Tenn., Mrs. Bessie Fleming of Starkville, and Miss Winnie Jack Gilder of Memphis; four sons, Rufus Gilder, Gene Gilder, and Jasper Gilder, all of Vardaman, and Thomas Earl Gilder of Los Angeles, Calif.; five sisters, Mrs. Martha Davis of Mantee, Mrs. Mary Lewis of Vardaman, Mrs. Louise Leister of Yazoo City, Mrs. Rose Howard of Derma, Mrs. Christine Vance of Calhoun City; three brothers, Barksdale Inmon, Robert Inmon and Andrew Inmon, all of Vardaman; 24 grandchildren and 29 great-grandchildren. ----------------------------------------------------------------- Rufus Rivers Gilder, Jr.
Vardaman - Rufus Rivers Gilder, Jr., 80, died Friday, April 23, 1999, at Hillcrest Hospital in Calhoun City. He was born Dec.13, 1918. He was a member of Vardaman Baptist Church. He was a farmer and cattleman. He was a U.S. Navy veteran of World War II. He was a drainage commissioner of the Soil Conservation District. Services will be at 3:30 p.m. today at Vardaman Baptist Church with the Rev. Dale Easley officiating with the Rev. Jeff Gilder assisting. Burial will be in Midway Cemetery. Parker Memorial Funeral Home of Vardaman is in charge of the arrangements. Survivors include his wife, Naomi Spratlin Gilder of Vardaman; three daughters, Joyce Bradford of Vardaman, Phyliss Poe of Tupelo, and June Collins of Calhoun City; one son, Rufus Albert Gilder of Southaven; four sisters, Alma Edmondson of Vardaman, Sara Edmondson of Collierville, Tenn., Bessie Fleming of Starkville and Jacqueline Eastridge of Memphis; one brother Thomas Earl Gilder of Starkville; nine grandchildren, 10 great-grandchildren. Pallbearers will be his grandsons, Jordan and Ben Collins, Phillip Poe, Keith and Chris Bradford and John Conway. Naomi Spratlin Gilder, 82, died Wednesday, July 21, 2004, at Calhoun Health Services Nursing Home in Calhoun City. She was born Nov. 21, 1921, in Calhoun County to Claude E. Spratlin and Nettie Belle Brown Spratlin. She was retired from Kellwood. She was a member of the Vardaman First Baptist Church. She was the widow of Rufus R. Gilder. Services will be at 11 a.m. today at the Parker Memorial Funeral Home Chapel in Vardaman with the Rev. Dale Easley officiating. Burial will be in the Midway Cemetery. Survivors include her daughter, Joyce Bradford of Vardaman, Phyllis Poe of Tupelo and June Collins of Calhoun City; one son, Rufus A. Gilder of Southaven; one sister, Veneal Myrick of Saucier; one brother, Paul Spratlin of Vardaman; nine grandchildren; 12 great-grandchildren; and one great-great-grandchild. Pallbearers will be Keith Bradford, Chris Bradford, Phillip Poe, Ben Collins, Jordon Collins and John Conway. Visitation will be from 10 a.m. until service time today at the funeral home. In lieu of flowers, memorials may be made to the Vardaman First Baptist Church. Alfred Gene Gilder, 69, died Wednesday at his home. He was a retired truck driver and a member of Vardaman Baptist Church, where he was a deacon. He was a member of the Vardaman Masonic Lodge, EOE and a veteran of World War II. Services will be at 11 a.m. today at the Vardaman Baptist Church with the Rev. Dale Easley officiating. Burial will be in the Midway Cemetery. Parker Memorial Funeral Home is in charge of arrangements. Survivors include his wife, Virginia Doris Harrington Gilder of Vardaman; two daughters, Barbara Waits of Brandon and Gloria Lloyd of Vardaman; four sister, Alma Edmondson of Vardaman, Sarah Edmondson of Memphis, Bessie Fleming of Starkville and Jacquelyn Gilder of Memphis; three brothers, Rufus Gilder and Jasper Gilder, both of Vardaman, Thomas Gilder of Starkville; five grandchildren. In lieu of flowers, memorials may be made to the Vardaman Baptist Church Youth ministry. "Northeast Mississippi Daily Journal" Sunday, February 23, 2003 Virginia Doris Harrington Gilder, 78, died Saturday, Feb. 22, 2003, at her residence in Vardaman. She was born Jan. 7, 1925, in Chickasaw County to Chester and Biddie Dendy Harrington. She was retired as a Licensed Practical Nurse from the Vardaman Clinic. She was a member of the Vardaman Baptist Church and the Order of the Eastern Star. Services will be at 11 a.m. Tuesday at the Vardaman Baptist Church with the Rev. Dale Easley and the Rev. Jeff Gilder officiating. Burial will be in the Midway Cemetery. Parker Memorial Funeral Home of Vardaman is in charge of the arrangements. Survivors include two daughters, Barbara Moore Waits of Brandon and Gloria "Dumpy" Lloyd and her husband, Jim, of Vardaman; one brother, Durell Harrington of Mantee; her grandchildren, Susan Waits Taylor and her husband, Jeff of McComb, Jason Eldridge Lloyd and his wife, Lisa, of Olive Branch, John Alfred Waits and his wife, Lee, of Jackson, Virginia "Ginny" Waits Hellrung and her husband, Marc, of Jackson, and Allyson Lloyd Cummings and her husband, Chad, of Saltillo; her great-grandchildren, Jason Tanner Lloyd, Caley Greet Lloyd, Reed Austin Taylor, Jamie Claire Taylor, William Heiskel Waits and James Alfred Waits III . She was preceded in death by her husband, Alfred Gene Gilder; and a son-in-law, James Alfred Waits. Pallbearers will be Jason Lloyd, John Waits, Jeff Taylor, Marc Hellrung, Jim Lloyd and Chad Cummings. Visitation will be from 9 a.m. to 10:45 a.m. Tuesday at the funeral home. Memorials may be made to the Vardaman Baptist Church Building Fund, Midway Cemetery Fund or North Mississippi Hospice. Brandon - J. Alfred "Cal" Waits, 57, died Friday, May 8, 1998, at the University Medical Center. He was a native of Blaine and had lived in Brandon for the past 19 years after moving from Los Angeles. He was a member of Pine Lake Baptist Church and was a former Deacon. He had retired from the F. B. I. after 20 years of service. He was a former administrator for the Real Estate Appraisal Board. He presently was the Director of Investigation for the State Auditor's Office. He enjoyed fishing, hunting, and gardening. Services will be at 11 a.m. Monday at Park Place Baptist Church in Brandon. Graveside services will be at 4 p.m. in Midway Cemetery in Vardaman. Baldwin Lee Funeral Home of Pearl is in charge of the arrangements. Survivors include his wife, Barbara Waits of Brandon; his father and stepmother, T. A. and Sue Watkins Waits of Grenada; one son, John Alfred Waits of Jackson; two daughters Susan Waits Taylor of McComb and Ginny Waits of Jackson; two brothers, Sam Waits of Grenada and Dr. Thomas Waits of Bruce; one grandson, Reed Austin Taylor of McComb. Visitation will be from 4 until 8 p.m. until 10:30 a.m. Monday at the funeral home. Memorials may be made to Mississippi Diabetes Association and Midway Cemetery Fund. Mr. Baylous Priest Ashby, 71, died Tuesday, April 26, 1977. He was dead on arrival at Houston Hospital. He was a retired farmer and had lived at Vardman since 1943. Born Sept. 22, 1905, in Van Vleet, Chickasaw County, he was the son of Dave H. Ashby and Edna Neal Ashby. He moved to Ellzey community in Calhoun in 1909. He leaves his wife, Mrs. Clytee Blissard Ashby of Vardaman; three daughters, Mrs. Rebecca Hardin, Mrs. Linda Taylor and Mrs. Carolyn Davis, all of Vardaman; two brothers, Ira Ashby of San Bernadino, Calif. and J. L. Ashby of Vardaman; and five grandchildren. Funeral services were held Wednesday afternoon, April 26 at Antony Funeral Home Chapel in Vardaman. Rev Ben Goodwin officiated, assisted by Rev. Bryan Scarbrough. Burial was in Hillcrest Cemetery in Vardaman. Pallbearers were Dwight Fleming, Charles Fleming, Frnklin Lowe, Joe Blissard, James E. Blissard and Gus Ashby, Jr.
Services for Tommie Crawford, 80-year-old retired farmer, were held Friday afternoon at 2 from the Ellzey Methodist Church. The Rev. L.F. Haire, the Rev. J.F. Hartley, and the Rev. Shelton Simmons officiated. Burial was in Ellzey Cemetery. Suriving are his wife, Mrs. Flora Anndye Crawford; two sons, Buren Crawford and Alvis Crawford of Vardaman; two daughters, Mrs. Mae Chandler of Vardaman and Mrs. Richmond Alexander of Houston; and one brother, Lonnie Crawford of Woodland. COLUMBUS -- Durell Chandler, 79, died Saturday, February 8, 1995, of cancer at Baptist Memorial Hospital-Golden Triangele. Services were Tuesday at New Hope Baptist Church near Vardaman with burial in Young's Chapel Cemetery near Vardaman. Memorial Funeral Home of Columbus has charge. Born in Lamar County, Ala., Mr. Chandler moved from Greenwood to Columbus in 1971 to be assistant manager of Burger Chef. A World War II veteran, he was a member of Disabled Americn Veterans and attended Fairview Baptist Church. Mr. Chandler, the husband of Mae Chandler, also leaves two daughters, Betty Nichols of Brandon and Shirley Morgan of Vardaman; four sisters, Davis Loftin of Columbia, Tenn., Virginia Colter of National City, Calif., Billie Kelly of Birmingham and Peggy Wright of Fort Walton Beach, Fla.; four brothers, Herbert Chandler of Warrior Ala., Jimmy Chandler of Birmingham, Johnny Chandler of Alabama and Thomas Chandler of Wisconsin; seven grandchildren and three great-grandchildren. The family requests any memorials be sent to American Cancer Society in Columbus. Mrs. Mae Crawford Chandler died on September 24, 2013, at her home in Vardaman. She was the widow of the late Durell Chandler, a homemaker and seamstress, and was a member of the Vardaman First Baptist Church. She was born on June 21, 1909, in Vardaman, the daughter of Tommy and Flora Ann Dye Crawford. Her funeral service was held at 2:00 p.m. on September 26, 2013, at Young's Chapel Church (Ellzey Chapel) in Ellzey with Bro Benny Hill officiating, assisted by Bro. Gladwin Carpenter. Burial was in the Ellzey Cemetery with Parker Memorial Funeral Home in charge of arrangements. She was preceeded in death by her parents, her granddaughter Kimberly Jean Morgan Williams, and two brothers: Buren Crawford and Alvis Crawford. She is survived by two daughters: Betty Chandler Nichols of Jackson, MS and Shirley Chandler Morgan of Vardaman; her sister, Laudrey Alexander of Vardaman; four grandchildren: Tim Nichols, Trina Nichols (Dwayne) Carruth, David (Regina) Morgan, and Keith (Tonya) Morgan; seven great grandchildren and two great-great grandchildren. Pallbearers were Billy Alexander, Kenneth Alexander, Larry Alexander, Carroll David Morgan, Keith Morgan, and Tim Nichols. Mr. Carroll Ray Morgan died on August 31, 2013, in Vardaman. He was born in Reid on September 20, 1936, the son of Roy Morgan who was killed in the Battle of the Bulge in WWII and Clara Mae Murphree Morgan, and was the grandson of Alsie and Connie McBroom Morgan. His funeral service was held at the Poplar Springs Baptist Church on Tuesday, September 3, 2013, at 2 p.m. with Bro. Benny Hill officiating and Bro. Robert Earl Alexander assisting. Burial was in the church cemetery. He is survived by his wife, Shirley Chandler Morgan of Vardaman; two sons: Carroll David Morgan (Regina) of Glen Allan, MS, and Roy Keith Morgan (Tonya) of Houston, MS; five grandchildren: Angel Swords (Matt), Raiche Morgan (Nagisa), Morgan Edwards, C.J. Williams, Autumn Williams; two step grandchildren: Chad and Jeremy Williams; and three great grandchildren. He will be sorely missed by his beloved cats: Tomboy and Littlebit. Mr. Lemuel Marion Martin, age 86, whose home was at Vardaman, passed away on Monday, June 6, 1960, at the University Hospital, in Jackson, Miss., where he had been under treatment for three weeks. He had lived at Vardaman for many years and was a retired Groceryman. Mr. Martin was born in Polke County, Ark., on May 30, 1892, the son of John Austin Martin and Louise Hawkins Martin. He was a member of the Methodist Church and had been active throughout his life in religious and civic undertakings in his town and county. He was a member of the Masonic Lodge and had cooperated with fraternal undertakings at Vardaman for years. Throughout his long life, he had worked for progress and development of the town and county's resources for better roads, schools and churches. He was active in moral and brotherhood growth and was a man who loved his friends and treated the public with fairness and honesty. Funeral services for Mr. Martin were held from the Vardaman Methodist Church on Tuesday June 7 at 2:00 p.m., conducted by Rev. E.S. Furr, assisted by Revs. Doc Jeters and Rev. Bryan Scarbrough. Burial was in the Hillcrest cemetery at Vardaman. James E. Cook Funeral Home was in charge of funeral arrangements. Pallbearers were Charles Byars, Bill Blue, Carthel Richardson, Raymond Robertson, Thomas Blue, and David Blue. Mr. Martin is survived by his wife, Mrs. Vera Griffin Martin of Vardaman; by two sons, Erbane Martin of Clinton, Miss., and Billy Martin, of Columbia, SC; by a daughter, Mrs. Wayman Harpole of Maben, Miss. ; by two brothers, John Vess Martin of Vardaman and Rex Martin of Calhoun City; and by ten grandchildren. Mrs. Vera Griffin Martin, 83, died Tuesday May 20, 1980, at Starkville Manor Nursing Home. She was the widow of Marion Martin and had previously resided at Vardaman. She leaves one daughter, Mrs. Sarah Lou Harpole of Maben; two sons, Erbane Martin of Clinton and Billy Martin of Columbia, SC; two sisters, Mrs. Edna McKibben and Mrs. Dorothy Moore, both of Houston; one brother Berdie Griffin of Houston; 10 grandchildren and five great grandchildren. The funeral service was held Tuesday afternoon at Vardaman Methodist Church. Rev. Ben Goodwin officiated, assisted by Rev. Danny Estes. Burial was in Hillcrest Cemetery in Vardaman. Pallbearers were Dwight Griffin, Charles Fred Martin, Reuben Byars, Clifton Moore, David Moore and Prentiss McKibben. Mr. John Vester Martin died Thursday, April 9, 1970, at the Veterans Hospital in Memphis, Tenn., where he had been under treatment for some time. He was 73 years of age. Mr. Martin, who had resided at Vardaman most of his life, was a retired barber. He was a member of the Vardaman Baptist church and a member of the Vardaman Masonic Lodge. He was a veteran of World War I. Those who knew him said of him that he was a good, loyal and trustworthy man. He was born September 15 1896, the son of John A. Martin and Louiza Hawkins Martin. He leaves his wife, Mrs. Leona Rhodes Martin of Vardaman; a son, Charles Fred Martin, of Vardaman; two daughters, Mrs. Carthel Richardson and Mrs. Raymond Robertson both of Vardaman; a brother Rex Martin of Calhoun City; seven grandchildren and three great grandchildren. Funeral services were held on April 11 at Vardaman Baptist Church. Rev. Ken Pickens officiated, assisted by Rev. Curtis James. Burial was in Hillcrest cemetery at Vardaman under the direction of the Antony Funeral home. Pallbearers were Van Johnson, Donald Harrell, Robert E. McGregor, Dewitt Spencer, Wilburn High, and Charlie Lecornu. Mrs. Leona Rhodes Martin, 78, died Friday, April 22, 1977, at the Calhoun County Hospital in Bruce. She resided at Vardaman and was a Baptist. Born Sept. 8, 1898 in Martin, Tenn., she was the daughter of W.S. and Emaline Patterson Rhodes. She leaves two daughters, Mrs. Maurene Robertson and Mrs. Mary Evelyn Richardson, both of Vardaman; one son, Charles Fred Martin of Vardaman; one sister, Mrs. Delena Wright of Reform, Ala.; seven grandchildren and four great grandchildren. Funeral services were held Saturday afternoon at Vardaman Baptist Church. Rev. James Shumate officiated. Burial was in Hillcrest Cemetery under the direction of Antony Funeral Home. Pallbearers were Wilton Griffin, Carl Martin Richardson, Steven Richardson, John Forrest Spencer, James Marshall Casey and Billy Paul Spencer. Mrs. Cordie Griffin Martin, 88, died Saturday, Nov. 2, 1975, at Hillcrest Hospital in Calhoun /City. She was the wife of Mr. Mike Marin, Sr., of Vardaman. She was a member of the Vardaman Baptist Church. Born Oct. 26, 1887, in Calhoun County, she was the daughter of Joseph D. and Nan Dye Griffin. She leaves her husband, Mike Martin, Sr., of Vardaman; five step-daughters, Mrs. Bernice Castlemen, Mrs. Bonnie Naron, both of Vardaman, Mrs. Pearl Malone of Woodland, Mrs. Mary Ruth Johnson of Memphis, Tenn., and Mrs. Martha Ann Edwards of Tupelo; three sons, Randolph Fleming of Drew, Marvin Fleming of Houston, Van Fleming of Starkville; six stepsons, Felix Martin of Houston, James Martin of Bruce, Mike Martin, Jr. of Sugartown La., Dale Martin of Leland, Charles Martin of Starkvile and John Paul Martin of Meridian; nine grandchildren; eight great-grandchildren; 51 step-grandchildren; 62 step-great grandchildren, and four great great grandchildren. Funeral services were held Sunday, Nov. 23, at 2. p.m. at Vardaman Baptist Church, Rev. James Shumate officiated, assisted by Rev J.F. Hartley, Burial was in Hillcrest cemetery at Vardaman, under the direction of Antony Funeral Home. pallbearers were Charles Fleming, Dwight Fleming, Bobby Young, Jeff Martin, Douglas Martin and Pete Hestinbaum. Mr. James Clinton Lester, 67, died Friday, Oct. 17, 1980 at Oxford-Lafayette County Hospital. A retired farmer and forester, he resided on Rt. 2, Vardaman and was a member of the Poplar Springs Baptist Church. Born Sept. 28, 1913 in Calhoun County, he was the son of Oscar Jerome Lester and Mary Idell Turner Lester. He leaves his wife, Mrs. Georgia Morgan Lester of Rt. 2, Vardaman; three daughters, Mrs. Linda Patton of Columbus, Mrs. Ruth Ann Fleming of Derma and Mrs. Nancy Paden of Jackson; two sons, Bobby Lester and Buddy Lester, both of Vardaman; three sisters, Mrs. Beatrice Manning, Mrs. Mable Vinson and Mrs Curtis Bramlitt, all of Memphis, Tenn.; a brother, S.T. Lester of Memphis; and 10 grandchildren. Funeral services were held Oct. 18 at Poplar Springs Baptist Church. Rev Don Wilson officiated. Burial was in the church cemetery. Pallbearers were C.O. McGregor, David Bray, Bill Alexander, Jim Carter, Jasper Lunceford, and W.D. Burt. Antony-Parker Funeral Home was in charge of arrangements. Vardaman, Miss., March 26 - Services for Mr. W.W. (Bud) Blue, who died Thursday, March 22, at Houston Hospital were held at the Vadaman Methodist Church Saturday morning, March 24. Rev. R. B. Burks, Rev. J.F. Hartley and Rev. I. E. Johnson officiated. Burial was in Young's Chapel cemetery, under the directions of Thornton Funeral Home. Mr. Blue was 75. Born near Vardaman, the son of the late Make Blue and Sarah Frances Dowdy Blue, Mr. Blue lived near Vardaman during his lifetime. He was a school teacher, farmer, and formerly operated a store at Ellzey. He was loved by all the children and he returned that love by always being never too busy to have something amusing to say to them. He was a fine Christian gentleman, interested in his church's welfare and serving as an official of the Vardaman Methodist Church. He also taught a Sunday School class for many years. Pallbearers were: Earl Blue, Rex Blue, Ambrose Hiller, Wallace McGahey, Amma Lecornu, and Bill Blue. He leaves one son, Travis Blue, of Vardaman; two brothers, D.D. Blue of Vardaman; and Dr. R.S. Blue of Houston; three sisters, Mrs. W.J. Winter of Oxford, Mrs. C.J. Chandler and Mrs. J.J. Hiller of Calhoun City. Virgie Naron, 83, of Rt. 2, Vardaman died Friday, Dec. 29, 1989 at Hillcrest Hospital. Born December 24, 1906, she was the daughter of Orlando Lee Alexander and Nancy Elizabeth Martin. She was a retired public school teacher and member of Young's Chapel Methodist Church. She leaves her husband, John Grady Naron of Vardaman; two sisters, Birdie Gibson, and Dede Fleming, both of Vardaman; three brothers, Dennis Alexander, Bane Alexander, both of Vardaman; and Mark Alexander of Houlka. Pallbearers were Sid Mayhan,, Pete Gibson, Billy Alexander, David Alexander, William Alexander, and John Alexander. Parker Memorial Funeral Home was in charge of arrangements. James Paul Gregg, 72, of Vardaman, died Sun., Jan 19, 1986, in Calhoun City. Night watchman at Caviness Woodworking in Calhoun City, he was born Sept. 22, 1913, the son of Jim Gregg and Margaret Suggs Gregg. Services were Wed. at 10:30 a.m. at Vardaman Baptist Church with Rev. Dale Easley and Rev. Randy Baine officiating. Burial was in Midway Cemetery. Pallbearers were Joe Van Anglin, Bill Blue, Donald Harrell, Gordan Huffman, Herman Cook, and Jimmy Blue. Survivors include his wife, Lorene Blue Gregg, Vardaman; one son, Jimmy F. Gregg, Memphis, Tn. ; and one brother, Johnny Gregg, St. Louis, Mo. William (Tom) Thomas Blue, 81, of Vardaman, died Sun., Jan 19, 1986 at Oxford-Lafayette Co.,Hospital in Oxford. A dairyman, he was born Dec. 4, 1904, the son of Jonathan David Blue and Annie Vanhorn Blue. Services were Tuesday at 2 p.m. at Antony-Parker Funeral Home Chapel with Rev. David Chadwell and Rev. Ken Jones officiating. Burial was in Hillcrest Cemetery. Pallbearers were Roy Dale Blue, Michael Blue, Bill Blue, Barry Blue, Jimmy Blue and Dannie Ramage. Surivors include his wife, Mrs. Audrey Martin Bluek, Vardaman; one daughter Mrs. Janie Hayes, Southaven; three sons, Thomas Blue, Jackson; David Blue, Dallas Ga.; Johnny Blue, Hernando; three sisters, Mrs. Edna Watkins, Mrs. Janie Gable, Mrs. Annie Ramage, all of Vardaman; and one brother, Jewett Blue, Vardaman.